The MacVoices annual Road to Macworld series kicks off with the head man himself. Paul Kent Vice President for IDG World Expo and General Manager of Macworld-iWorld, profiles this year’s biggest and best Apple-oriented event. A combination of expo, conference and more, Macworld-iWorld not easily defined in one word. Paul talks about the many aspects to the show and what makes it different from other events you might try to compare it to. 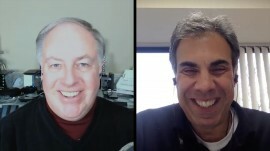 Macworld-iWorld has evolved since it started some thirty years ago, and Paul explains why that continues to be a critical part of the show’s DNA. And if you listen closely and quickly, you can get a huge discount on attending this year’s show.